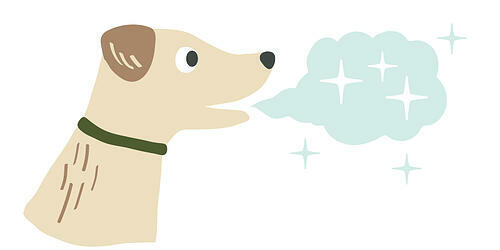 Does your dog have bad breath? Have you noticed plaque build-up on your cat’s teeth? Maybe it’s time you start to take a closer look at your pet’s dental care routine. Why is your pets dental health so important? Well, dental health can affect many aspects of your pet's overall health, including digestion and immunity. Maintaining a consistent dental routine can have positive effects far beyond what goes on in their mouths. Dental health in our pets is not always a priority until it’s too late and the damage is already done. Dental disease, and the unexpected vet bills that are associated with poor dental health, are preventable and in some ways potentially reversible. If we can make simple changes to improve our pets dental care, then why are the statistics around pet dental health still so alarming? Did you know that, according to the American Veterinary Medical Association (AVMA), almost 80% of dogs and 70% of cats are showing signs of dental disease by the ripe age of just three? That’s pretty incredible considering dental disease is preventable. Pet owners, according to the Veterinary Pet Insurance Co., spent a combined 11 million dollars per year on dental procedures. $11 million on something that is easily, I’ll repeat it, preventable! 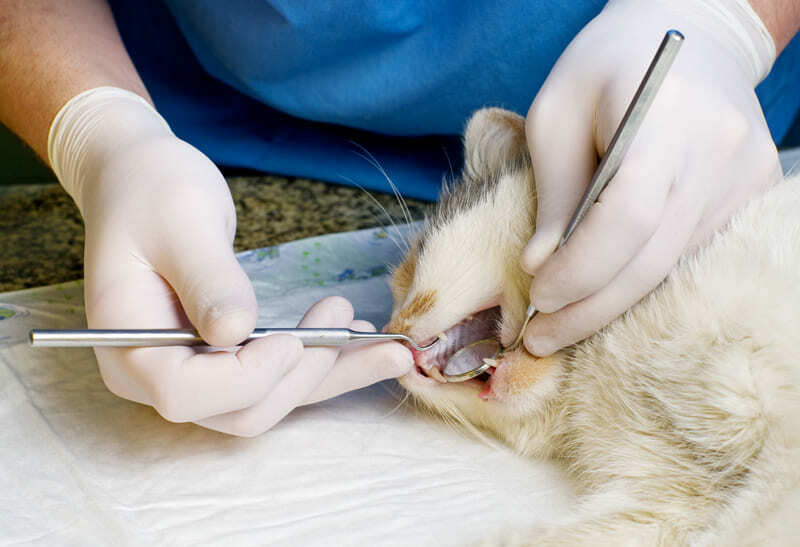 Vet visits and regular cleanings are recommended, and they aren’t cheap, but a lot of that $11 million was on procedures to fix dental issues that could have been avoided if we spent more time keeping up with our pets dental health in between vet visits. The typical adult goes to the dentist twice a year for check-ups and cleaning or scaling. This process helps reduce the build-up that we aren’t as good at removing ourselves. Would it make sense for you not to brush your teeth, floss or participate in any other dental routines in between your dentist appointments? Obviously, your breath would be horrible, your teeth would rot, and all your friends would start keeping a generous distance from you. Of course, you keep yourself healthy by maintaining a regular dental routine, and this same line of thinking should apply to your pets as well. So why do we disregard the importance of our pets dental health? Well, there are many reasons and excuses that we use to avoid putting too much effort into our pet's teeth, but they all come down to the fact that we often don’t know how to care for them appropriately. The good news is that there are lots of products and methods to help with pet dental care, but knowing which one works the best, how to do it, and which products will be best for your individual pet’s needs can feel quite complicated. So, let’s ditch the excuses, and dive into how to make our pet’s dental health substantially better. How often should you be cleaning your pet’s teeth? In a perfect world, you should be brushing your pet's teeth every day. In an even more perfect world, after every meal. Does that sound familiar? That’s right, our pet's dental care needs are pretty similar to our own. Short, 1-2 minute brushing sessions will make a huge difference in overall dental health. We know that that seems like a lot, so start with once per week and work towards getting as close to every day as you can. My pet hates it when I brush their teeth, what do I do? This shouldn’t come as a surprise, but most pets hate getting their teeth brushed. They fear what they do not understand, and no matter how much they may trust you, their fearless leader, they are not going to enjoy you poking around in their mouths with a brush. Go slow, and be patient. Over time, your pet will adapt to the routine, but only if you are consistent. Try different ways and methods of brushing to find the one that is the most manageable and least intimidating to your pet. Can I use other dental products to avoid toothbrushing? The long answer is that although nothing will replace tooth brushing, many dental products are great for enhancing a dental routine, especially when tooth brushing sessions are a bit of a struggle. In the end, you still need to brush your pet's teeth regularly. How early can I start brushing my pets teeth? As soon as they have teeth, you can start caring for them. Obviously, those fresh baby teeth are going to be very healthy already, so starting the routine earlier is more about building the routine and making future dental care much more relaxed. Frequently brushing your pet’s teeth will help them get used to having you fussing around in their mouth, the feeling of the brush on their teeth and gums, and additionally helps you become comfortable with the practice. You'll both be pros at it sooner than you think. Can diet affect dental health? Absolutely! Some diet formats and ingredients can create more dental problems than they solve, and some are considerably less effective than you think. Kibble diets are often seen as a dental solution. As your pet chews their food, it helps remove bacteria. It sounds great on paper, but that’s just not the case. Most pets don’t appropriately chew their food, and some, not at all. If anything, kibble leaves more residue than it removes, providing an ample food supply for bacteria to feed on. Slow feed bowls may help encourage chewing, but it will not reduce the need for a dental routine. Wet food feeders are at the highest risk, as there is zero chewing involved. This type of diet can also be high in carbohydrates and sugars that feed bacteria, so toothbrushing is even more essential to pet’s eating strictly canned food diets. The best type of diet for dental health is a raw diet. Whether it is dehydrated, freeze-dried, or frozen, raw meat contains enzymes that aid in the breakdown of oral bacteria. Consequently, even if there is very little chewing going on, these diets still provide better dental care. Ingredients matter too. Heavily processed, sugary ingredients feed bacteria, intensifying the problem and increasing build-up near the gum line. Look for lower carb and lower glycemic options to minimize the number of sugars that your pet is consuming. Kibble is a very high carb format compared to raw, so if you’re feeding a primarily kibble diet, try incorporating raw or fresh foods into your pet's daily routine to help limit carb intake, and increase the positive dental effects. Before you dive in, it’s important to understand your options, tools, and how to use them appropriately to get the best result. You want this process to be as painless and straightforward as possible, so combining multiple practices may give you a better result than trying really hard with just one. This is, of course, a familiar concept to everyone. Toothbrushing removes bacteria and food particles that build up between teeth and at the gum line. Toothbrushes for pets come in many shapes and sizes to appropriately accommodate different breeds and jaw sizes or shapes. An inappropriately sized brush can make dental care more difficult than it needs to be, limiting your ability to get at all of the harder to reach areas of the mouth. Clunky brushes also run the risk of being intimidating and uncomfortable for your pet, which will not encourage them to accept this new practice. For smaller pets, look for brushes that are angled or narrower to help you reach the back of the mouth and the inner side of the teeth. Larger, box-shaped toothbrushes are suitable for bigger breeds to cover a wider area quicker and more efficiently. Pet toothbrushes often look much like ours, but can also be found in soft rubber formats, for young puppies and kittens who are teething, or pets with pre-existing dental sensitivities. 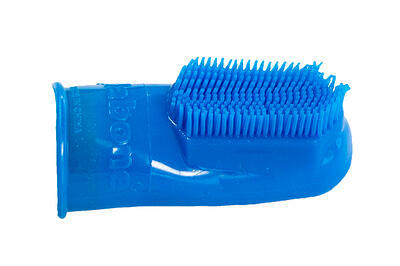 These softer bristles can massage the gums and stimulate movement and growth of new teeth under the skin. Check out this video from the AVMA, explaining how to properly brush your pet's teeth. Toothbrushes can look intimidating and entirely foreign to your pet, and for some, they may even look like a new chew toy. If you are struggling to get your pet used to regular tooth brushing practices, try an alternative utensil to a typical brush. Finger toothbrushes are great for small dogs and cats and are less invasive than a standard toothbrush design. These small rubber finger covers have soft, short bristles on one end of brush to massage the gums. Finger brushes are easy to conceal, and your pet will be much less nervous about letting you near their mouth. Similar to the finger toothbrush concept, use a small microfibre cloth, wrapped around your finger, or a finger toothbrush made of microfibre, to gently rub away some of the bacteria and massage the gums. This will feel pretty natural for your pet and it is soft enough that it shouldn’t cause irritation. 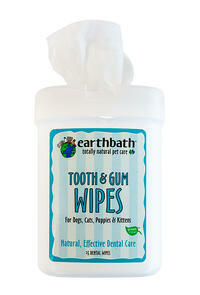 Looking for an easy clean method of removing bacteria from your pet’s mouth? Try dental wipes. Dental wipes are saturated with a dental cleaning solution already, so there is no need for additional toothpaste. This will create less of a mess than a slimy toothpaste will, and the wipes themselves are small enough to discreetly wrap around your finger like finger brush. When worst comes to worst, and you are trying to train a less-than-confident pet to adapt to teeth cleaning techniques, just slap some pet toothpaste directly on your finger and rub it around their mouth. It’s not the most pleasant experience, but it’s a great way to dip your pet’s toes in the water and allow them to get comfortable with this routine slowly. Upgrade to dental utensils as you feel confident and your pet becomes more cooperative. Choose your environment wisely. The calmer they are, the easier it will be on both of you. Your pets can sense your fear, frustration, and stress so keep calm and brush on. Stick to quiet, familiar places so that your pet feels more comfortable laying or sitting throughout the process. If you are just starting out, have some treats handy. This may seem counter-intuitive, but remember that you are building a routine, so encouragement is needed. You want your pet to see the dental routine as a positive reward, so treating before, during and after the process will keep them excited and focused. Getting your pet acclimated to a toothbrush may take multiple sessions, so start small. Just getting your pet to sniff or touch the toothbrush can be a success for some nervous pets. Don't rush this process. To make this routine easier for both you and your pet, it's best that they are comfortable with you and the equipment that you use. Practice makes perfect. The first few tries will seem clunky and awkward, and that’s normal. It may not adequately clean the teeth at first, but once you get the hang of it, it will be very effective. This will allow your pet to trust you and not fear the process. The back teeth are important because food can settle back there, but don’t neglect their front chompers. Almost no chewing is done at the front of their mouth, so plaque and tartar can build up quickly. Pay extra special attention to the gum line. Bacteria adhere to the gum line easily, and damage can be caused to the gums, teeth, and bone if that bacteria spreads under the gums and festers. Follow up a dental care session with something that your pet loves, like some one-on-one playtime, a walk or another activity that your pet really enjoys. This will help them look forward to dental care instead of dreading it. Try to avoid using food if possible unless it is also for dental cleaning purposes. Take your time. There is nothing wrong with taking a break and giving some belly rubs or head scratches to help calm your pet when they get worked up. Take a quick fiver to let them settle and start again when they are ready. Remember that they can sense your frustration, so the break may be just as necessary for you as it is for them. Toothpaste is intended to reduce bacteria while you brush, and is a wise choice when planning out your pet’s dental routine. Using toothpaste to brush your pet’s teeth is an effective way to minimize bad breath, and prevent plaque and tartar build up. However, there are some really important things to know when choosing the right toothpaste. Human toothpaste is toxic to pets. Ingredients like xylitol are commonly used to sweeten the toothpaste, and xylitol severely compromises animals liver function. Another risk with human products is the surfactants, or foaming agents. You and I know not to breathe in the foam while we are brushing, but your pet definitely doesn’t. These kinds of toothpastes can be a serious choking hazard. Thankfully, there are many pet-specific products available, so always choose one of those when using toothpaste in your pet’s dental care. Enzymatic toothpastes are the most commonly seen options for pets. Pet toothpaste is often flavoured to make the taste more desirable to the pet. Even though flavours like peanut butter, chicken, or fish may not be the breath solution that you were hoping for, the bacteria the can fester in their mouths will linger far longer than the scent of the toothpaste. Enzymatic toothpastes contain glucose oxidase, which acts as an antibacterial, activated by glucose and oxygen in the saliva, and produces small, natural amounts of hydrogen peroxide to reduce bacteria further. When choosing a toothpaste for pets, make sure it is both appropriate for their species, dog vs cat, and is specifically labelled as an enzymatic toothpaste. Without the glucose oxidase, the toothpaste will not be an effective bacteria killer. Toothpaste can have a downside too. Take a look at the ingredient panel on your pets toothpaste before you buy it. You may find some undesirable ingredients like artificial colours, preservatives or xylitol. Many of these ingredients can be linked to allergies and digestive issues, so they are best avoided altogether. Your pet’s mouth is an ecosystem, and removing all bacteria can actually be harmful. The bad bacteria has an opportunity to grow rapidly in a neutral environment. Typically you want healthy bacteria present at all times, to compete for the food that would aid in the overgrowth of harmful bacteria. Take a very close look at the ingredients that give the paste it’s texture and flavour too. Peanut butter and chicken are commonly used to flavour things, so consider how this may affect both pets and people with allergies. Thickeners like guar gum, which is thought to contribute to inflammation and digestive upsets, can also be present in some products. It’s best to avoid that ingredient whenever possible. 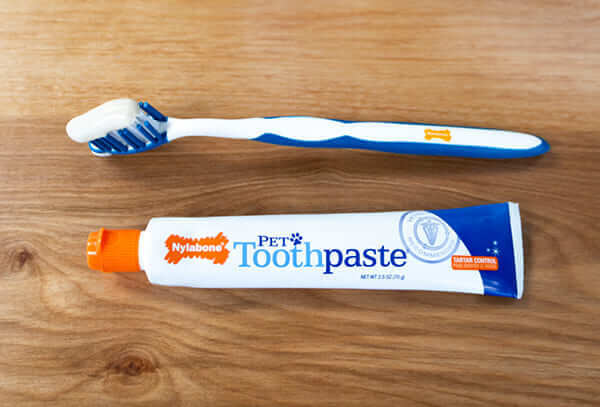 For pet owners looking to consider a more natural approach to the typical pet toothpaste options, homemade recipes can be used for toothbrushing. These recipes can be very effective, but try to choose ingredients that have antibacterial properties or can help reduce bacteria build up on their teeth. 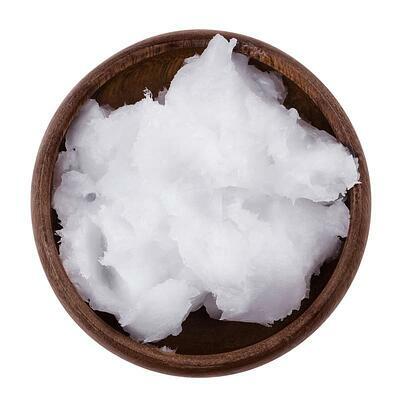 Coconut oil contains lauric acid, which has antibacterial and anti-microbial properties. Use it just as you would a normal toothpaste, but a tad more conservatively. Coconut oil is a fat, so you should always start with a minimal amount, probably pea-sized, to prevent digestion issues. Coconut oil is completely safe to feed both dogs and cats, so no need to rinse, just apply, massage and let them lick the rest off. Chances are they will love the taste. This gritty powder can add abrasion to natural toothpaste and allow for an improved bacterial reduction. Apply it with coconut oil or even an enzymatic toothpaste to polish the teeth. Baking soda is safe to ingest, but only in small amounts. I recommend wetting the toothbrush and dip a corner into the soda. This is plenty for a single toothbrushing session. The powder may leave more of a residue than other options, and it definitely won’t taste great, so it’s worth it to go over your pet’s teeth one last time with just water and the brush to remove any excess. Baking soda on it's own does not have antibacterial properties, so for this to be a truly effective toothpaste substitute, it's best to use it to enhance a ‘base’ toothpaste (like coconut oil or an enzymatic toothpaste) to maximize the benefits of both. Homemade toothpaste recipes are all the rage for people and pets, some with and some without merit. There are tons of ingredients that are safe to add to your pet's DIY toothpaste, but there are also a few that you should avoid. 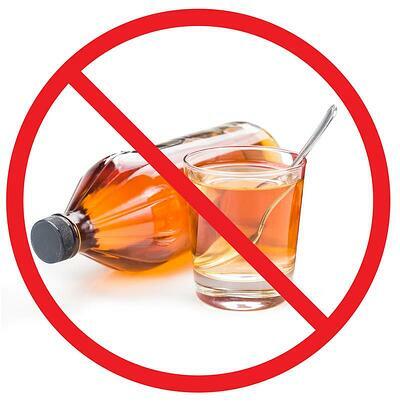 Acidic ingredients can erode enamel, so avoid using ingredients like apple cider vinegar. Although they may reduce oral bacteria, the damage they can do is much more significant. You should also be cautious with ingredients that are too gritty. Ingredients like charcoal are typically fine in small amounts, but if you brush too hard, then over time the charcoal can damage their protective enamel. Lastly, never use whitening chemicals like pure hydrogen peroxide. This should be pretty straight forward, but these types of products can irritate the gums and soft tissues in the mouth when applied directly. Regardless of which combination of cleaner and utensil that you use, use them consistently. This will help build the routine and make it easier for both you and your pet, as well as have a significant impact on their dental health. In between brushing, it’s great to have an additional method for dental care in place. Try some of these hands-off approaches to dental care that will improve dental health and maximize the effects of your routine. Water additives are easy to use and provide bacteria control throughout the day. A small amount of the liquid gets added to your pets water bowl or fountain. As they drink, the solution is moved around their mouth, distributing the dental effects. When choosing a dental solution, try finding products that contain natural bacteria fighters, like parsley, mint, or chlorophyll. These will be very effective at combating bad breath by reducing the amount of bacteria. Products like Tropiclean Fresh Breath are essentially a mouth wash for pets, which works great in conjunction with regular tooth brushing routines. Many of these products contain alcohol, so they aren’t the right solution for every pet. Although there is not much in there, the alcohol acts as a disinfectant and drying agent, which targets all bacteria in the mouth, good and bad. The drying effect can also cause gum irritation, which can be painful for your pet. Try and use products like these in moderation for best results. For more long-term care and to reduce plaque and tartar, try Bluestem. Bluestem uses a proprietary technology called coactiv+ to soften and remove biofilm, or plaque, by targeting bad bacteria. This will freshen breath, and improve tooth and gum health. This type of product is not for instant gratification seekers. When we said long-term, we meant it. It can be disappointing not to see the fruits of your labour for weeks, or even months, but the product will be effective over time. Water additives are not always an ideal choice for every pet. Cats, for example, generally don’t drink nearly enough water, as they are instinctually built to get moisture from their diets. For pets that just don’t drink enough, the effects will be significantly muted, and possibly completely ineffective. Another factor to consider that may affect the efficacy of a water additive is the cleanliness of the bowl or dish that the water is offered in. Water bowls should be cleaned weekly to prevent bacteria build up. Plastic or rubber bowls should be exchanged for metal, ceramic or glass to prevent further bacteria that can fester in the cracks and scratches of the material. For a different approach that may be more effective for our less hydrated pets, try a food additive. Similar to water additives, the flavourless, odourless powders can be added to their meals, and they do the rest of the work for you. Probiotics like Probiora, are chalked full of healthy oral bacteria to help populate the mouth and overpower the harmful bacteria, stealing its food source. This is an effective way to prevent plaque build-up and bad breath. Simply add the recommended amount of Probiora to your pet's food and as they eat, they will naturally circulate the healthy bacteria around their mouth. Probiora is both flavourless and odourless, so even picky eater won't know that it's been added to their food. Another very effective food additive is Proden Plaque-Off. 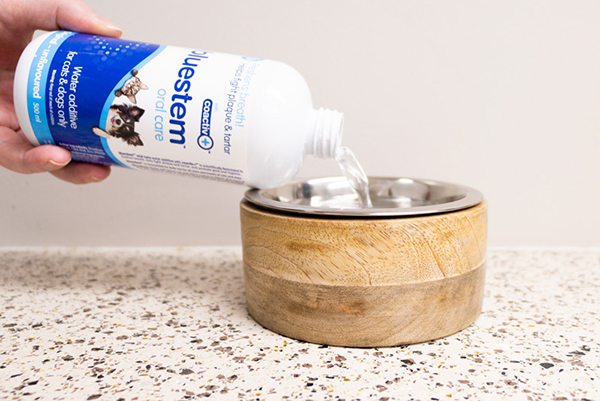 Plaque-Off is not a bacteria, instead it works with your pet's saliva to coat the mouth and breakdown plaque build-up over time, allowing you to brush the softened plaque away. They claim that once mixed with your pet's saliva, it will continue to work long after the meal is over, providing 24 hour effectiveness. Proden Plaque-Off powder is made of sea kelp, so it is all natural and safe to ingest. We recommend this product for pets that have an existing build up of plaque. When used in combination with regular toothbrushing, Plaque-Off is extremely effective for reducing build-up and improving your pet's bad breath. Food additives may seem like a fool-proof option, but their success is largely dependent on how your pet chews, and the type of food you feed. Raw and wet food fed pets generally don’t need to chew their food so the areas that receive the benefit of the additive may be limited. Pets who gulp their food may also be at a disadvantage when using these products. 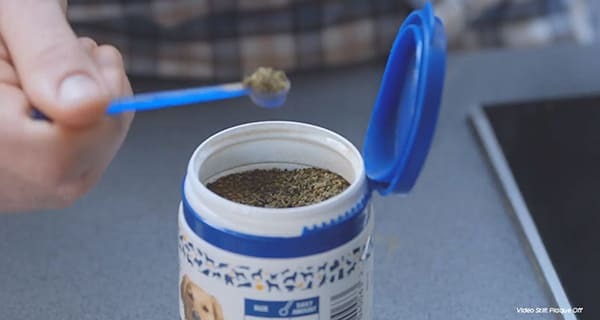 Check out our blog, My Dog Eats Too Fast: Side Effects and Solutions, to learn how to help slow your pet down to improve the effectiveness of dental food supplements. Additional dental care products, like treats, can enhance daily dental routines and be a rewarding experience for your pet. Treats designed for dental health contain ingredients like mint, parsley, and chlorophyll to freshen breath and reduce harmful bacteria. Treats can be a simple addition to any dental routine, but depending on the ingredients and calories, might not be suitable for pets with allergies, digestive issues, or weight problems. Biscuits are a typical format for this type of benefit. Geared towards freshening breath, biscuits have similar effects to some water additives. Treats can be fed regularly and are easy to incorporate into some existing treating routines, like treat training and rewarding good behaviour. While biscuits do have their benefits, just like kibbles, they are full of carbohydrates and sugars that can feed unhealthy bacteria. They can also leave residue between teeth and along the gum line, furthering the point that nothing replaces the benefit of brushing your pet’s teeth. Some dental treats are also available in a soft treat format. Look for dental treats with bacteria-fighting ingredients like mint or parsley; otherwise, they are likely just a clever marketing trick. Dental Chews are another common dental treat format, designed to create abrasion through repetitive chewing. 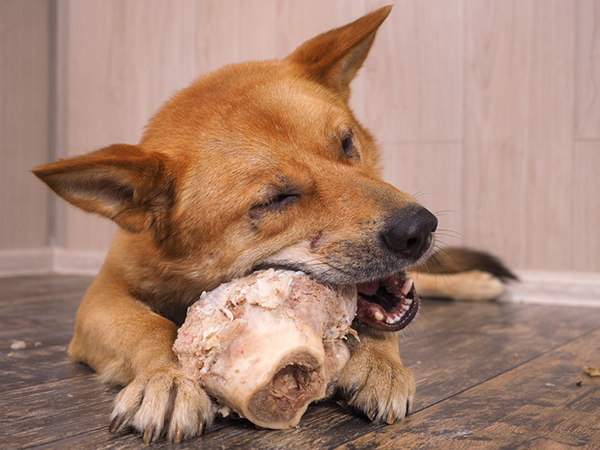 While there are many types of dental chews available, they will typically be either hard, to encourage chewing, or soft enough for your pet’s tooth to sink into it, while the treat holds its structure. The latter is more ideal for dental care, as most of the bacteria will sink down towards the gum line where chews may not reach. Dental chews for dogs and cats are different from one another, as cats are less inclined to chew for lengthy periods, although some will. 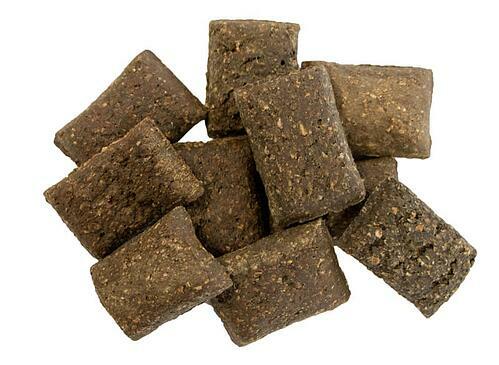 Greenies, for example, makes a larger chew for dogs but offers a crunchier biscuit for cats. Look at your dental chew ingredients before you buy though, because many brands like to hide less desirable ingredients like wheat, corn and by-products in their treats, which are fine for some, but may not be suited for pets with allergies or sensitivities. If you are looking for healthier alternatives to dental treats, check out Dog Dental Treats for Bad Breath. An often overlooked treat for dental health is natural chews. When talking about the effectiveness of dental treats, the focus is on chewing, which is the primary purpose of natural chews. They not only provide a rewarding activity, but they work the jaw and help remove bacteria too. 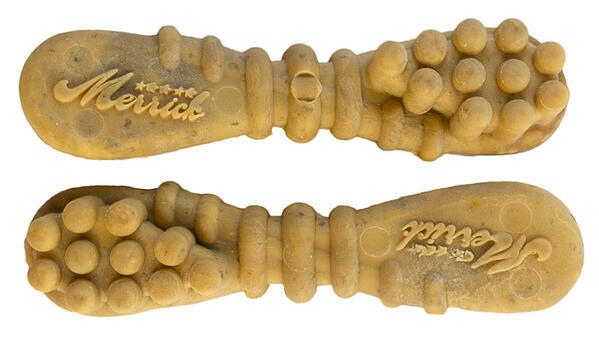 Unlike dental chews, natural chews are meant to be longer lasting. While they don’t contain bacteria fighting ingredients, many of them soften and can slink between teeth to remove bacteria and food particles, similar to flossing. Tendons and bully sticks both share this quality. Some tougher chews can provide hours of chewing, like bones, antlers and cheese chews, depending on the chewer of course. These are generally safe but aren’t without concerns. Really hard chews like this have the potential to splinter or snap off into large chunks, which can be a choking hazard or a digestive concern. Many are even so hard that they can crack, chip or break teeth, most often in young pets and seniors, whose teeth are not as strong. Ultimately though, teeth breakage can happen at any age. Avoid feeding these types of chews to puppies or senior dogs, or feed at your own risk. The longevity of the treats is attractive, but it’s not worth the pain and cost of permanent dental damage. If you think your pet may be susceptible to this type of teeth damage, instead try offering raw bones, which are softer and don’t have the same risk of splintering as cooked options. It’s still recommended to avoid marrow bones, instead opt for neck, rib, or knuckle bones to reduce the risk of damaging teeth or swallowing large chunks. Cats are not avid chewers like dogs, although some cats do take to it quite nicely. Bones would not be an ideal choice, except for poultry necks, backs, feet and wing tip, but many types of jerky, tendons or fish-based treats intended for small dogs would also be perfect for cats with the desire to chew. Check out this article for natural chews for cats. For some cats, chewing may not be their first instinct, so it may help to start by using chews with a stronger scent or more desirable flavours, like fish skins or chicken jerky. The last method of dental care is toys. Yes, toys can help clean your pet’s teeth! Not every toy works for this purpose, but many toys intended for chewing are an excellent way to improve your pet’s dental health in a fun and enjoyable manner. 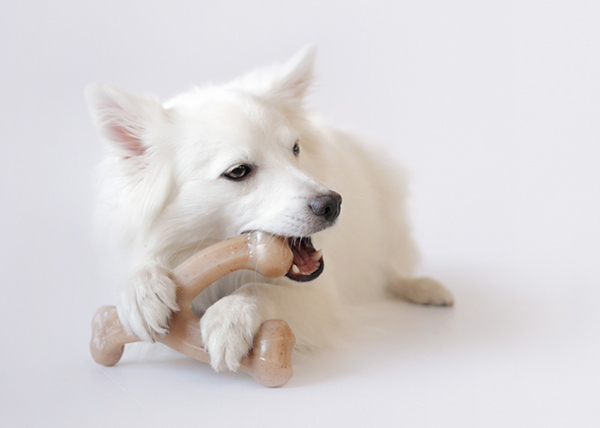 Some toys are specifically designed for dental health, like Benebones. Even rubber toys will massage gums and help remove bacteria and food residue. There is a downside, in that these products are not edible, so powerful chewers may destroy them pretty quickly, or even try to eat pieces of the toys that they are able to chew off. Other than the obvious risk of choking or digestive upsets, constantly replacing or repairing these chews can get expensive and will not be as effective if they don’t last very long. Always stick to toys that are appropriately sized and textured for your pet, to reduce the risk of consuming inedible ingredients. Check out this article on Tough Chew Toys for Extreme Chewers for some recommendation of tougher toys that may stand up to more determined chewing habits. Cats don’t typically benefit from toys, for a dental purpose, in the same way that dogs do. Although not all cats are chewers, some cats, especially those who show more destructive chewing behaviours, may enjoy a more durable toy to chomp down on. Offering small dog toys and stuffable rubber toys are a great way to encourage your cat to start chewing, and simultaneously clean their teeth. Instead of trying to convince them to chew on a toy that they just don’t have any desire to play with. Many cat toys are meant to encourage interaction and activity, so chew toys are not as widely available for cats. Dental care is multi-faceted, and immediate results are rare. This can be frustrating, especially when you are trying multiple methods, and significant results could take weeks or even months to recognize. Look for small changes to tell if your pet’s dental health is improving. No one is expecting their pet’s breath to smell good, but seeing an improvement on how bad they can smell is an excellent sign. Better breath means that there is a reduction of harmful bacteria circulating their mouths, and this can prevent plaque and tartar build up. As anyone who has ever experienced dental pain can attest to, how you chew can be affected by your dental health. Something as minor as tooth sensitivity or gum tenderness and inflammation can change the way your pet eats. As your new dental routine becomes a priority, your pet’s who don’t chew, might start. Pet’s who typically skip meals or aren’t interested in food, may suddenly have an increased appetite. 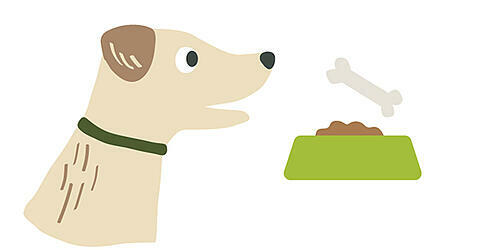 Pets who refuse to eat hard foods or treats may begin to show an interest in kibble or a natural chews. All of these can be signs of improved dental health. Dental bacteria can affect more than just the mouth. Bacteria that hides under the gum line can be transported through the bloodstream and have an effect on organ function, commonly the heart. Poor oral health is thought to be directly linked to some heart diseases. It doesn’t stop there, other organs can also be affected, like your pet’s liver or kidneys. This is due to their bodies natural response to bacteria ending up where it shouldn’t be, inflammation. The inflammation can restrict blood flow which has a significant effect on organ function. All of these vital organs aid in digestion, immunity, and energy levels. Therefore, improvements in weight, activity, and stool quality are all indicators that your pet’s oral health is on the rise. If you’re concerned that your pet is suffering from ailments concerning their dental health, you need to talk to your vet. Infections and compromised organ function are not just going to disappear on their own, so antibiotics or other medication may be required to help your pet stay healthy. 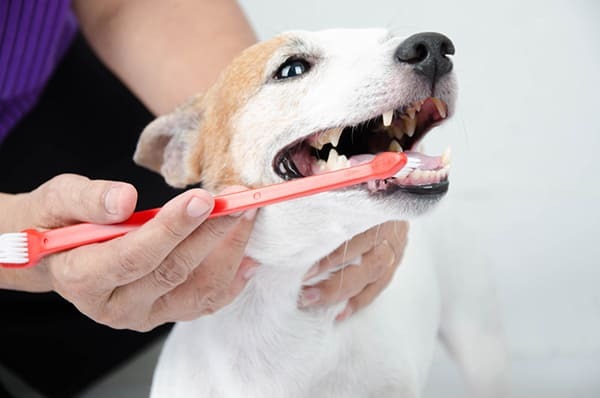 In the long run, we desire to see perfectly white, healthy teeth, but depending on the severity of your pet’s current dental health, that may be a tough goal to accomplish. Work with your vet to determine the best methods for your pet’s situation and be patient. These things take time and practice. Don’t give up! You may not even be aware of how impactful your dental practices are. The subtlety of the improvements may make it harder to see the light at the end of the tunnel, but at the end, you will achieve a better quality, and possibly even quantity, of life for your pet. A final note (and yes this has already been stressed a number of times), is that none of the alternative dental procedures that were addressed in this blog will replace regular vet visits and brushing your pet’s teeth daily. You may hate doing it, and trust us, your pet probably hates it too, but it has to be done. Talk to your vet about getting a dental assessment to determine the right course of action. A simple dental cleaning may kick start your progress and help you stay on top of your pet’s dental care. Have a dental success story? 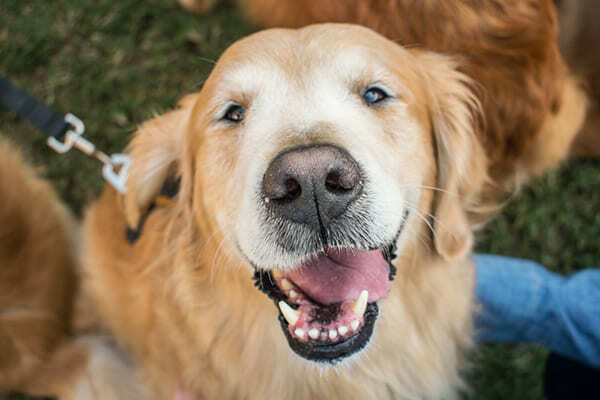 Connect with us on Facebook or Instagram with #homesalivepets and show us your pet’s beautiful toothy grin!